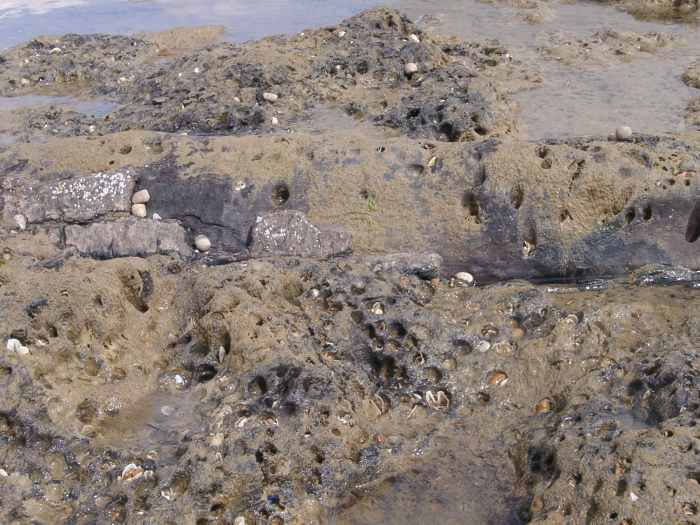 At the eastern end of the Hastings Cliffs at Cliff End remnants of a submerged forest are exposed during low tide. The forest was growing ~6000 years B.P. at a time when sea level was lower than at present. Over grey clay that covers much of the foreshore in this area a ~0.6m thick layer of peat can be found that contains leaves, twigs and whole tree trunks. 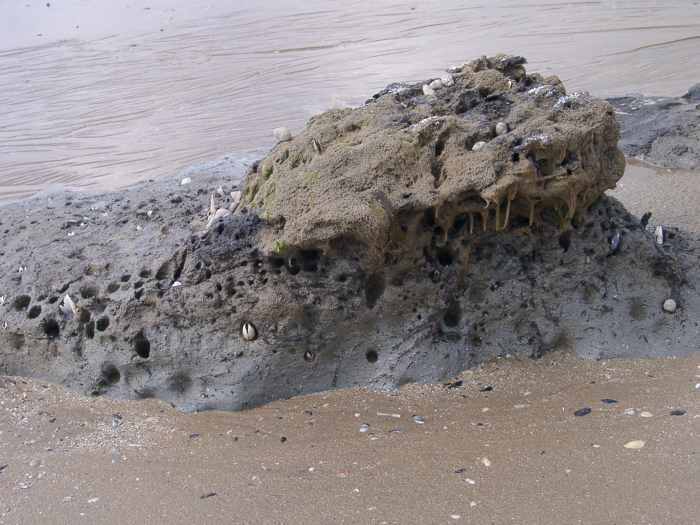 The image below shows the surface of the sediment with black peat outcropping between a surface cover of sand clay and vegetation. 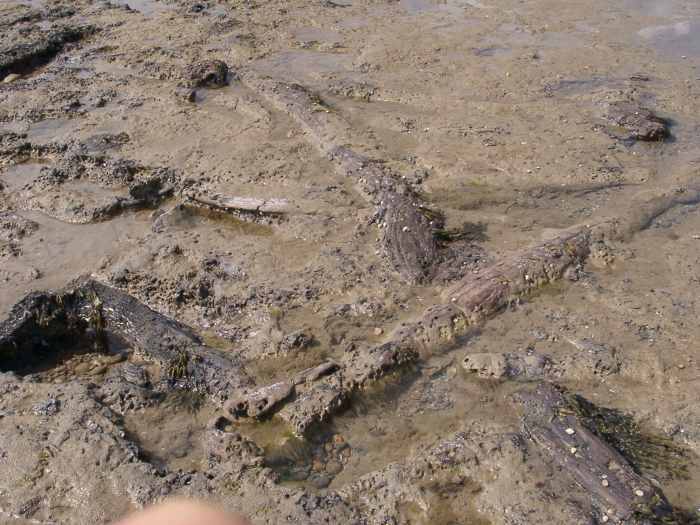 Tree trunks can be seen barely making an imprint on the surface. Close to the seaward edge the peat becomes more disected. Boring animals contribute to the destruction of the sediment. Boring takes place regardless of the material being peat or wood as illustrated by the tree trunk that can be seen lying horizontally in the image below. 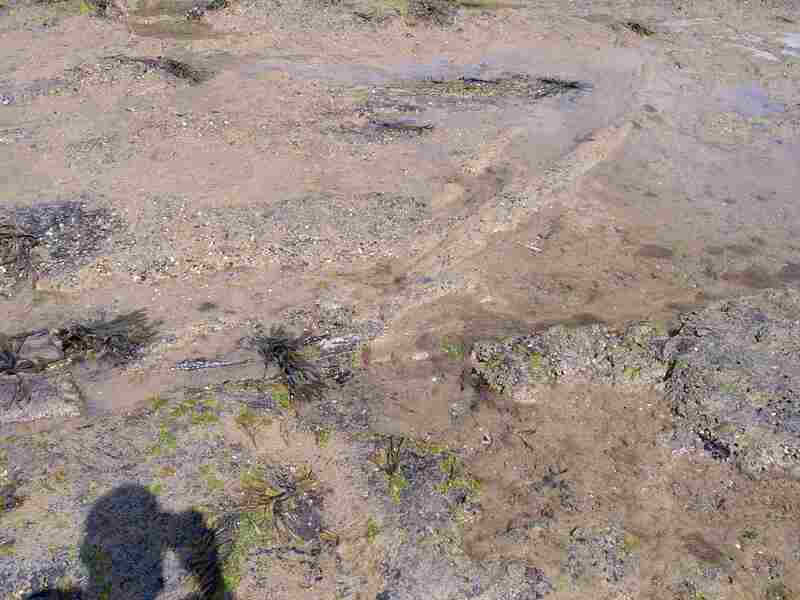 The image below shows more tree trunks in the peat matrix. 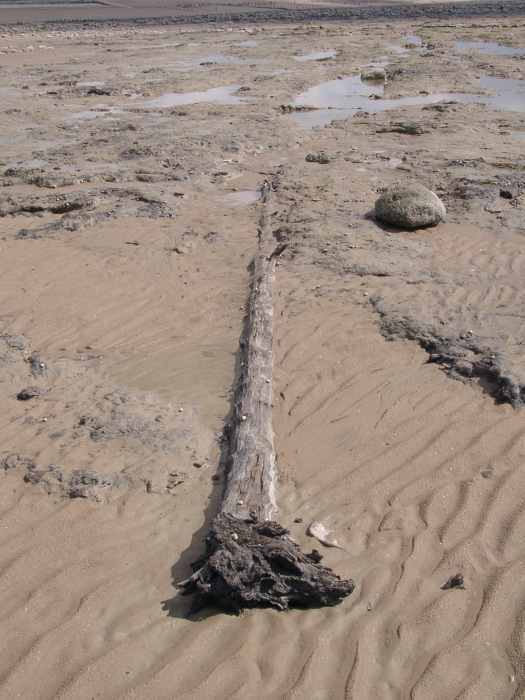 Closer inshore, sand covers part of the surface and tree trunks become partly dislodged from the peat matrix. Note the lower part of the shingle beach in the background.